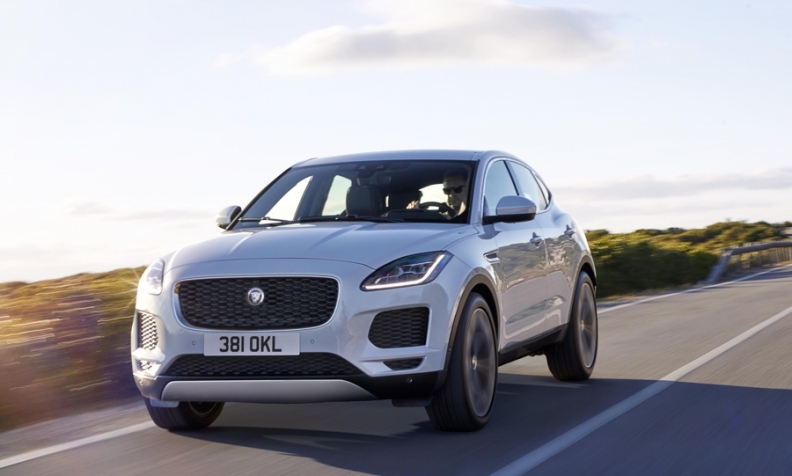 Magna assembles the Jaguar E-Pace on contract for the luxury automaker. Canadian auto parts maker Magna International Inc. on Thursday reported a better-than-expected fourth-quarter profit, driven by higher sales in Europe and the launch of new cars for BMW and Jaguar. Magna, based in Aurora, Ont., also assembles cars under contract from motor vehicle manufacturers and counts General Motors Co., Volkswagen AG, BMW and Ford Motor Co. among its top customers. Sales at Magna’s vehicle assembly business in Graz, Austria, more than doubled during the reported quarter, helped by the 2017 launch of the BMW 5-Series and Jaguar’s compact SUV, the E-Pace. Magna’s total sales rose 12 per cent to a $10.39 billion, its highest ever, beating analysts’ estimates of $10.12, according to Thomson Reuters. During the reported quarter, light vehicle production increased seven per cent in Europe and fell five per cent in North America. Car registrations in the European Union rose 3.4 percent in 2017 to more than 15 million vehicles for the first time since 2007. Net income attributable to Magna rose to $556 million, or $1.53 per share, in the fourth quarter ended Dec. 31., from $478 million, or $1.24 per share, a year earlier. Excluding items, the company earned $1.57 per share, beating analysts’ estimate by two cents. Magna ranks No. 3 on the Automotive News list of the top 100 global suppliers, with worldwide parts sales to automakers of $36.45 billion in 2016.